Of course, the best approach to diabetes is never to get it. The Atkins Nutritional Approach is your best insurance. The food you eat when you do Atkins is surprisingly close to what our primitive ancestors ate. Meat, fish and fowl; nuts, seeds and berries; vegetables and salad greens-Mr. and Mrs. Caveman would have recognized most of those things. They certainly wouldn't have known what to make of all those boxes filled with sugar, white flour and salt in the middle aisles of the supermarket-and neither does your bewildered body. If you have been doing Atkins for several weeks, the symptoms you used to suffer and that you recorded on your BloodSugar Symptom Test should be alleviating or disappearing now. Your blood sugar is normalizing and so is your insulin level. Unless you came to this nutritional approach too late, you have escaped diabetes, and momentum in that direction has been halted. In my opinion, you've been dam lucky. In the last twenty years, science has discovered that elevated blood-sugar levels appear to play a significant role in the aging process itself. 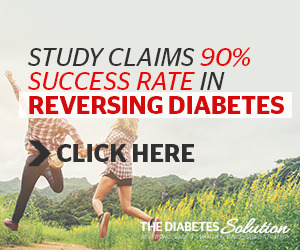 Naturally, diabetes provoked these investigations; it is startling how this disease's effects on organs and tissues mimic the effects of aging at an accelerated pace. 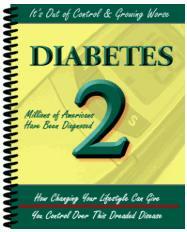 Why should high blood sugar damage the skin, the nerves, the eyes, the joints and the arteries? Part of the answer appears to lie in glucose's propensity, as it floats around in your bloodstream, to attach itself to proteins. That attachment is called glycation (or glycosylation). Scientists at Rockefeller University and other research centers have demonstrated that the process leads to irreversible cross-links between adjacent protein molecules. Cross-linking significantly contributes to the stiffening and loss of elasticity found in aging tissues. If you want to know whether your blood sugar is generally elevated, ask your doctor to order a Hemoglobin Alc (glycosylated hemoglobin) laboratory blood test for you. It measures your blood-glucose control over a six- to eight-week period. Dr. Anthony Cerami, the pioneer in this field, gave the new protein structures formed from this chemical collision an appropriate name: Advanced Glycosylation End-products, or AGEs. Collagen, the flexible connective tissue that holds your skeleton together, is one of the first proteins to be affected. As collagen's flexibility is destroyed, your skin sags and your organs stiffen. And your arteries also take a major hit, which explains in part the connection between diabetes and heart disease. AGEs attach themselves to LDL (bad) cholesterol, and these LDL molecules then become more oxidated, causing severe damage to any arterial surface to which they become attached. AGEs are truly a main contributor to aging; therefore, I advise you to keep your blood sugar well down in the normal range so those glycating sugar molecules don't gain a foothold on your body.